A bathroom remodel is so much more than just picking the right shower, tub, sinks, fixtures, and cabinetry. From the first invigorating shower in the morning, to the peaceful soak in the tub at the end of a long day, bathrooms play a big role in your family’s life. We are the Northern VA area’s premier design build firm for all types of remodeling projects. We’ll help you create a beautiful new bathroom that meets all your family’s needs, and we’ll make the remodeling process a stress-free one. Do you want an updated master bath that blends both function and style? Do you want to create an oasis of calm, or are you interested in remodeling a guest bath or powder room? Whatever your dream, we will design and create the perfect bathroom you’ve always wanted. 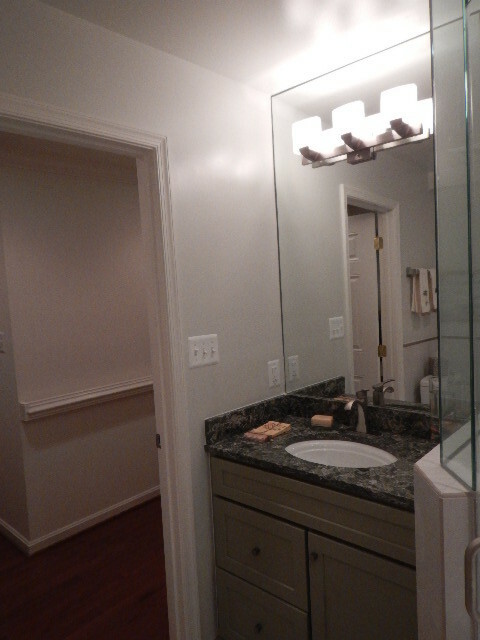 We specialize in all types of remodeling projects, including bathrooms. For over three decades, our dedicated team of designers have transformed homeowner’s ideas into the bathroom of their dreams. We are a family-owned business that has mastered the art of combining quality design, best industry practices and affordability for our clients. We take great pride in our commitment to integrity, excellence and value. Our attention to detail and dedication to open communication is what sets us apart. We believe we have the best design team in Northern VA. They bring to each and every remodel project we do a wealth of experience and expertise. They are dedicated to your family’s needs and maintain a dedicated attention to detail through the entire design and construction process. Professional service and customer satisfaction are what our remodels are built on. What you hope to accomplish with the remodeling project. We listen to your ideas and goals and discuss the options available to help you meet them. While a bathroom remodel can be extremely rewarding, it may also be overwhelming. Our aim is to educate homeowners to an extent that helps minimize expensive change orders and avoid disappointments. Our professional insight and foresight will help you save both time and money when it comes time for the actual design and construction. The scope of the project. Once we view and measure the area you want to remodel, we can more accurately estimate what will be involved with regards to materials and labor. Precise measurements are integral to the estimating process. They are the foundation upon which all other elements are built, including intangibles like appearance and feel. Your family’s personal style and taste. 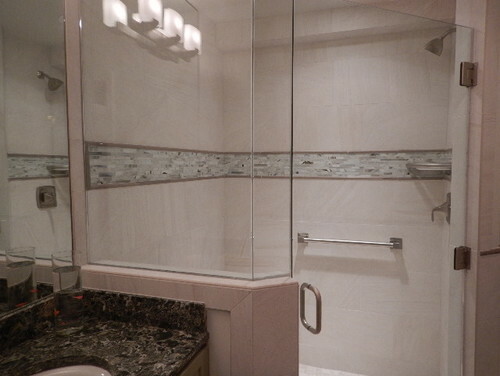 We love sharing our experience and knowledge with clients, but rest assured our goal is to provide you with a bathroom remodel that is 100% yours. We encourage you to express your individual personal style and needs. It’s your home and your investment and it should reflect your unique lifestyle. Once we have a better idea of the scope of the remodel, we’ll walk you through various options, including floor plans and products, that will ultimately be used to prepare an estimate. We handle all types and sizes of projects, and we will never push our ideas on you. We listen carefully and thoughtfully to your questions and concerns, and we don’t move forward until you’re completely satisfied with our response. Rough mechanicals: electrical, plumbing, HVAC updates, etc. In what will feel like no time at all, you will have the bathroom of your dreams – you can count on it! Many of our Northern VA clients are surprised when they learn they can remodel their bathrooms with a reasonable amount of investment. We’ll walk you through all your choices and outline the costs for various bath remodels in your area. It doesn’t always require a lot of money to transform an older bathroom into something more modern. Even if you want to build a luxurious master or spa-type bathroom, we’ll offer you a number of options to keep the project within your budget. Our award-winning designers specialize in creating bathrooms with high-quality craftsmanship. Our client testimonials attest to our attention to detail, creativity, and team mentality. At Foley, we believe that you should feel comfortable and secure with your choice of a remodeling contractor. We work hard to build a relationship based on mutual understanding and trust. A bathroom remodel nearly always adds appreciable value to your home, but we believe the best bathroom remodeling projects are those that are designed for your family’s enjoyment and comfort. If you’re ready to update, upgrade or completely remodel your Northern VA home’s bathroom, we’re here to help make it happen. Why not contact us today for a free consultation? We would love to meet with you to discuss all your bathroom remodeling needs.